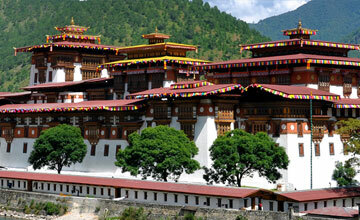 Bhutan is one of the popular travel destination in Asia. 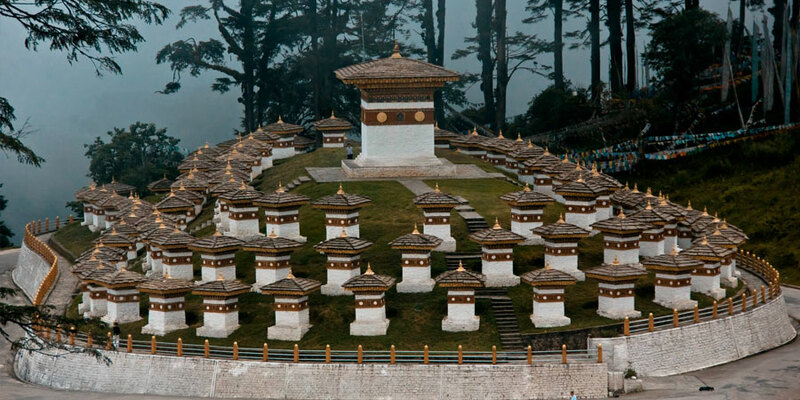 Bhutan travel is an exotic land of high mountains and lush valleys, snow-clad peaks and clear running springs, pristine ecology and an incredible wealth of wildlife. Trekking in Bhutan or Hiking in Bhutan is an ideal way to discover this country with It’s un spoilt environment and majestic mountains its unique cultural heritage and warm, friendly people. The Himalayan Kingdom of Bhutan is fast emerging from centuries of self imposed isolation. For Bhutan tour / Bhutan travel opened to tourists in 1974 in very regulated manner upon the coronation of present Bhutanese King, this mountain kingdom is still perhaps the world's most exclusive tourists destination. Due to the Royal Government's far-sighted policy to preserve the countries pristine environment and its culture, the harmful effects to industrialization and mass tourism on the environment and the traditional lifestyle of Bhutanese have been carefully avoided. This makes Bhutan a truly unique destination. An unspoiled country with majestic mountains, a unique cultural heritage preserved for many centuries, an architectural style like no other, a landfill of warm hearted and friendly people, reveals a true paradise in the lost era of the present century. The Kingdom of Bhutan lies in the eastern Himalayas, between Tibet to the north and the Indian territories of Assam and West Bengal to the south. The Kingdom of Bhutan has a total area of about 47,000 square kilometers. Located in the heart of the high Himalayan mountain range, Bhutan is a land-locked country surrounded by mountains & Dzongkha is Bhutan official language. Bhutan is the only country in the world to retain the Tantric form of Mahayana Buddhism (Drukpa Kagyu) as the official religion. The Buddhist faith has played and continues to play a fundamental role in the cultural, ethical and sociological development of Bhutan and its people. 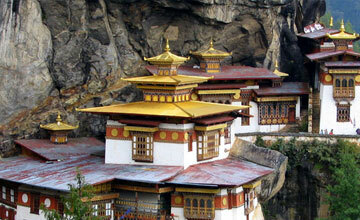 Tourism in Bhutan was privatized by the Royal Government of Bhutan in 1991. Bhutan Government has strongly to a policy of low volume, high value tourism. 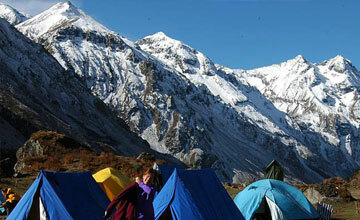 Visit in Bhutan is best destination for Bhutan trekking & Bhutan package tour. Normally Autumn & Spring season is best travel in Bhutan. Bhutan travel required Bhutan travel permit from Royal embassy of Bhutan. Since Bhutan has been open for tourist / travelers, we Himalaya Journey Treks & Expedition arrange Bhutan tour, Bhutan trekking , Bhutan package tour, Bhutan sightseeing tour as per travelers wish and holiday frame. Trekking in Bhutan is amazing experience to explore beautiful landscape , monasteries & Bhutanese culture. There are several option to get the Bhutan among them Kathmandu Paro flight , Kathmandu Sikkim border then drive to Bhutan , Delhi paro flight , Bangkok paro flight etc, we Himalaya Journey Trekking arrange with all options for Bhutan trip.